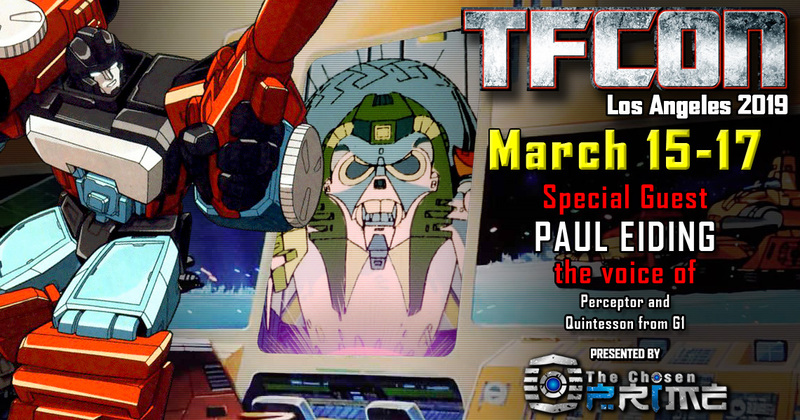 TFcon is very happy to announce Paul Eiding the voices of Perceptor and Quintesson in Transformers Generation 1 will be joining the G1 Reunion event happening at TFcon Los Angeles 2019. He is also well known as Colonel Roy Campbell in the Metal Gear Solid video game franchise. Paul will be taking part in Q&A panels and autograph sessions with the attendees of America’s largest fan-run Transformers convention. Paul Eiding is presented by The Chosen Prime.